Branding your staffing agency is one of the most important and effective ways to make your firm successful. While it may take some time to popularize your brand, having a solid identity in the staffing world is essential. Ultimately, a strong company brand allows a staffing agency to attract the best talent and portrays it as a credible business. If your staffing agency is looking to attract more candidates or clients, branding is the way to do it. If you’re wondering why defining your brand is important, here’s three reasons: It sets you apart from your competition, it increases your chances of referrals, and it grows your business. Defining your brand is the most essential step in the branding process because it sets the foundation for the rest of your strategy. When creating your brand’s identity, consider your specialty, your employees, and the demographic you hope to attract. These three factors should be the main influences of your brand because they contribute the most to creating and upholding your image. Think about what your company’s goals are and how your company will work to stay aligned with them. Consider what your company already does very well, and what you could learn from your competitors. Develop a list of adjectives that you want your brand to convey when a consumer or employee sees an advertisement or logo. Once your brand is decided upon, your employees will be responsible for representing it in public interactions (meetings, interviews, etc). Think of your logo as the face of your company. This is what people are going to think of when they hear your company’s name, so it’s important to take the time to make it good. The font and colors you use in your logo should be used consistently to represent your brand. Keep your logo simple, timeless, easily recognizable, and appropriate for your brand. Overly-extravagant or irrelevant logos will confuse your audience, or worse, make you forgettable. If you think of the most famous and memorable brand logos, you will notice that they keep their design choices simple, yet distinct. Need proof? Think of the Nike Swoosh. The design is simple, recognizable without the name defining it, and has been branding the company since 1971. Make sure your logo can stand alone, but also complements your company’s name. Don’t be an imitator. Your logo should be entirely specific to your company. Think outside the box, but don’t stray too far from your brand’s voice. Need some more help? Check out Creative Bloq’s logo design tips. Now that you have figured out which direction you want your brand to go, it’s time to introduce it to your audience. Remember that everything you’ve developed in the steps above must remain consistent throughout your branding efforts. Try different platforms to introduce your brand. A website, for example, is extremely necessary, but having a business account on every mode of social media is not. Pick a couple social media pages that you commit to updating constantly and stick to them. Don’t be discouraged if your content is going unnoticed at first; the more you post, the more people will see it. Try video content marketing. Videos attract readers because many people are visual learners who appreciate explanations that are paired with graphics and fewer words. Email marketing, community outreach, and old fashioned billboard advertising are methods to experiment with to introduce your name in many different environments. If something you’re doing now isn’t working, don’t keep doing it. Evaluate your current marketing methods and adjust them to make them more effective. Remember that adaptability is a huge part of branding! Branding is the first step to a recognizable and trustworthy business. Following these 3 steps will get your staffing agency’s branding strategy up and running. Soon, you will have a brand you, your customers, and your employees are confident in. Don’t let slow paying customers hold you back from showing off your new brand. Find out how factoring can help provide your company money for payroll so you can move forward. A position opens up in your business or agency and it’s time to hire someone new—someone good. You have a specific type of person in mind, but for some reason he or she just isn’t applying. Don’t worry, it may not be you. It’s probably your application process. Don’t let a stressful or confusing application process deter potential employees from applying to the position. Instead, follow these helpful tips to make your job position more attractive and draw in job-seekers. Do your research. You know what kind of person you want to fill a particular position, so don’t just settle for anyone. Ask your employees if they know anyone that fits your descriptive mold. If anyone would know who would make a good [insert position here], it would be your employees. In fact, these people are great resources for attracting job-seekers. Ask them to refer others to the company and reach out to their recommendations beforehand. Doing this may allow you to find a candidate that would not have known to apply otherwise. Make the position enticing. When writing your job posting, make sure you keep the text clear and easy to read. Add a detailed job description and information about your company. These two paragraphs should not be too extensive, but they should be able to clearly outline the important aspects of your company and the position. The design of your job posting should be a perfect balance of unique and simple. Don’t crowd the posting with extravagant graphics or designs, but also don’t be too dull. The reader should be able to read your advertisement quickly and easily. Keep in mind that good content can make up for simple graphics! Okay, here’s the important part. If your prospective employees don’t know your company very well before they apply, your application is one of the first impressions they get. If your application is hard to find and even harder to fill out, then a high percentage of responses is entirely unlikely. Make your application accessible and easy. How? Make your application form available and compatible with any mode of electronic device. People should be able to submit from their cellphone, tablet, or computer. Allow applicants the opportunity to save and come back to their application. If your application is lengthy or requires tests, don’t make your audience complete it in one sitting. Giving them the option to save and finish it later allows them to complete it on their time and to the best of their ability. Accept all major file types. Job-seekers are more likely to upload a resume if they can do so without converting their file. Make sure your website supports resumes that are uploaded as PDFs, JPGs, and Microsoft Word documents. The interview is the make-or-break part of the job application process for both you and your prospective employee. Let them know that they have as much of a choice in accepting the job as you do in hiring them. Be flexible with meeting spots, interview times, and interview processes. Give them a choice of a few times or places that best suit you, then coordinate with their preferences. Keep the interview focused on the job and make the conversation two-way. You want to get to know them as much as they want to get to know you, so allow them the opportunity to ask you questions as well. Being transparent about the job is extremely important. If you are open and honest with potential candidates, they will be more likely to follow up with your offer. Be upfront about downsides of the position as well (e.g. long hours, difficult clients, far commute). If your potential employee knows the downsides immediately, he/she will be able to consider whether these factors affect his/her decision to accept the job. Don’t get me wrong, the positive aspects of your job should wildly outweigh the negative. Your job-seekers should be able to recognize that you are worth working for. The key to attracting job-seekers is to make your job advertisements clear, your applications easy, and your interviews engaging. Good content and solid job descriptions will make potential employees flock to you to learn more. By following these tips, your perfect candidate will come along in no time. You spent time finding the perfect employees for your staffing agency, and they work hard for you. You shouldn’t have to worry about paying them on time for their hard work. 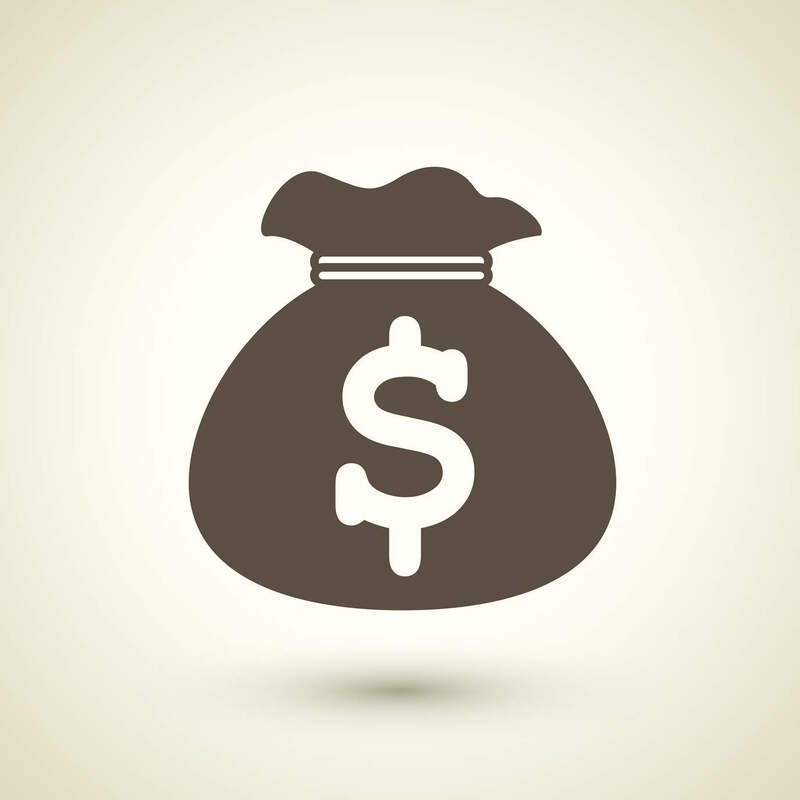 Check out how payroll factoring can help you pay your employees. App-based companies provide us with the power to order a taxi, a new wardrobe, a maintenance man, or a burrito (with guacamole) all in the palm of our hand. The impact and popularity of these companies have even produced an entirely new string of economic strategy known as the gig economy. Comprised entirely of independent contractors, these “gig companies” hardly ever use full-time employees, and instead, hire temporary workers who are in charge of their own hours and work spaces. Interested workers and gig companies work together to find jobs that suits their locations and their skill sets. The services that these companies offer are considered “on-demand:” quick, convenient, and cheap for users. As such, freelancers, contract workers, and temp agencies have thrived from the creation of these apps because gig companies are attracted to the short-term aspect of their employee pool. By pulling employees from temp agencies, companies like Uber are able to act like an employer without actually paying for the benefits that come with hiring full-time workers. Instead, temp agencies provide high quality workers with little effort under independent contracts, which allow employees freedom with their hours while still earning above-minimum wages. At the same time, people are able to work for these companies even if they are not trained in a particular skill set. Postmates, a food ordering and delivering service, for example, only requires workers to have a driver’s license in order to adequately do the job. This flexibility allows employees to balance more than one job because they are not bogged down by strict contracts or schedules. They can use their jobs at gig companies strictly for extra cash without having to worry about giving up time they don’t have. Although these employment opportunities seem convenient and worthwhile, Uber and Lyft have experienced much turmoil regarding their employment strategies. According to the Seattle Times, by classifying its drivers as independent contractors, Uber avoids paying millions of dollars in taxes and prevents its workers from accessing employment protections, such as wage and hour standards, safety requirements, anti-discrimination laws and the right to form a labor union. People who sought employment at these gig companies feel ripped off if they find that they are working an extensive number of hours per week without the benefits that come with a “normal” job. Additionally, the fine print within the independent contracts proves to be far stricter than one expects. Fast Company reported of two women filing law suits against the cleaning company Handy after they were misinformed of their responsibilities and were misclassified as independent contractors. Yet, gig companies argue that their initial flexibility is what attracted applicants to the job in the first place. The unique model of gig companies allows them to hire employees of all different backgrounds and skill sets. Retirees, students, and parents find that these jobs work perfectly with their busy—or lax for retirees—lifestyles because they aren’t under any obligation to stick to a regular job schedule. Because certain demographics within their employee pool are hired because of the very fact that they need a balance of freedom and money, gig companies find it hard to change their standards strictly for those who actually need part-time or full-time paid benefits. While gig companies are currently dealing with some bumps in the road, their business model will not cease in popularity. In fact, 40 percent of Americans are projected to be independent contractors by 2020—a number that would not be possible without the help of temp agencies and freelancers. Your unique pool of employees does a lot to keep the gig economy running. But, you shouldn’t have to worry about funding them. See how factoring can help you get payroll funding fast! 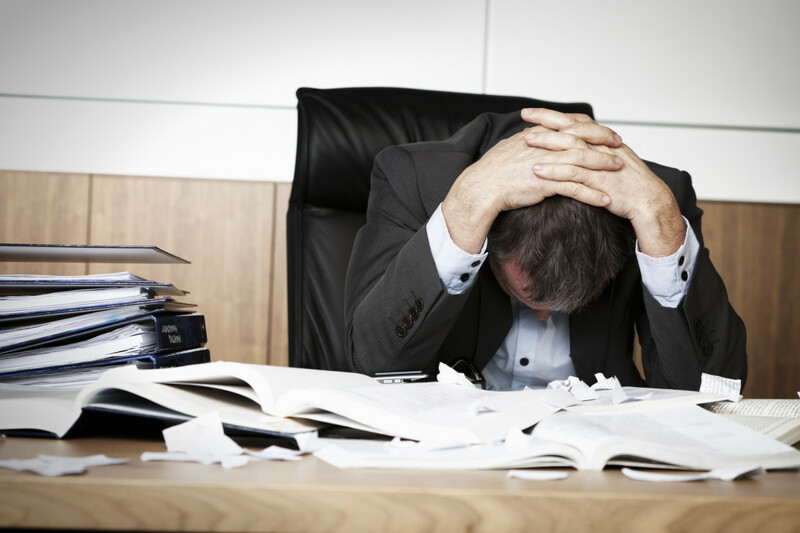 Not having enough working capital for your business because of unpaid invoices can be tough on your business. 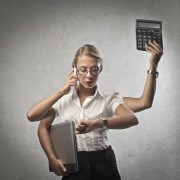 In the staffing industry, payroll has to be on time, every time. So when your business doesn’t have the funds to cover payroll, that leads to problems. It is important to be firm on these types of rules in order to always have the cash flow you need to grow your business. Here are some tips to make sure your open invoices are taken care of. By knowing how many open receivables you currently have, and checking in more often, you ensure that nothing slips through the cracks. Being aware of your business’s outstanding payments on a daily basis means you won’t let your customers get away with not paying their bills for a longer period than if you’d only check in on your accounts receivables once a month. Be polite but firm when reminding your customers about unpaid bills. If you see a customer’s due date is coming up, send them a reminder since it’s easy to misplace or set aside a bill and forget to take care of it. Reminding your customer about the due date makes it more likely they will pay on time and shows you are on top of your invoices. The older an invoice is, the harder it is to collect so going after older unpaid bills first is best. Organize your outstanding invoices by order of oldest to newest invoice and work down the list, tackling the newest unpaid invoices last. By doing this, you guarantee that no invoice ever gets to a point where receiving what’s owed to you is pretty much impossible. By giving your customers a specific date within which the bill is due, you are giving them a time frame and deadline, and they will probably respond better to it and pay the bill within the allotted time. Telling them their payment is due within 30 days gives them a firm time period within which they need to pay their bill and doesn’t allow for any dithering. This gives customers a reason to pay their bills on time as they want to avoid paying more on top of their outstanding payment. Be sure to inform customers about late fees up front and remind them in the invoice about these fees accruing if payment is late. Besides charging a late fee to encourage customers to pay on time, a positive incentive for customers who pay early may also be a good idea. You could offer a small percentage discount if a customer pays within an “early” time frame, or offer future discounts, credit or gift certificates so a customer will want to pay their bills early and appreciate the reward your business extends. 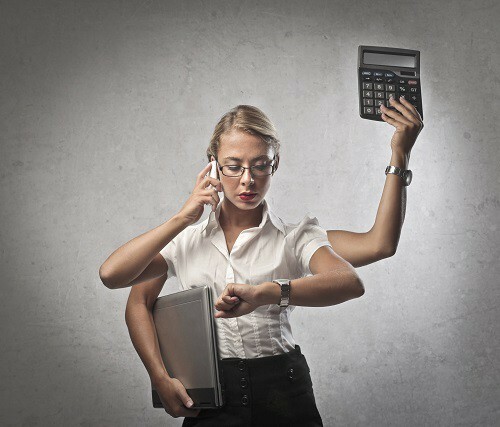 By following these guidelines, your business can avoid long periods without get paid. If your business cannot avoid these issue we can help. We offer staffing factoring to staffing agencies across the country. Staffing factoring offers advances payments to staffing companies that are in need of working capital. Give us a call or fill out a form to learn more information. Staffing agency owners know better than anybody that succeeding in the industry is no easy task. 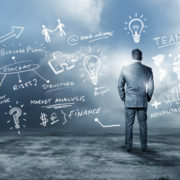 The ever-changing economy, legal red tape and tax regulations all make administering a staffing company a tricky venture. But did you know that it is a tougher venture in some states than in others? It is true—there are certain states where running a staffing firm is easier, both economically and legally. Check out this list of the top three states to own a staffing agency. As they say, everything is bigger in Texas—including the benefits of owning a staffing agency. Firstly, due to the sheer size and robustness of the Texan economy, the staffing agency has a huge presence in the workforce. According to the American Staffing Association (ASA), the Lone Star State employs over one million temp workers per year, each average nearly $35,000 as an annual salary. The staffing industry itself garners just over $12 billion per year. Texas has a very influential Staffing Association that lobbies in the interests of staffing firms very efficiently, assuring that legal impediments do not hinder staffing companies from expanding. Georgia has a slew of veteran staffing company owners currently participating in the state legislature, and accordingly, there are few laws in effect that hurt the staffing industry. The Peach State, despite being mid-sized compared to Texas, often exceeds $5 billion dollars in annual sales, according to ASA. 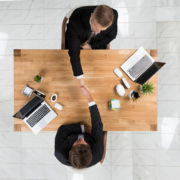 The Sunshine State places few restrictions on the staffing industry and also have skillful lobbyists that have prevented unfriendly legislation from being passed, according to Staffing Industry Analysts. Florida ranks in third, however, because their temp staffing employees rake in slightly less on average than workers in other states. Nonetheless, with little red tape, Florida is not a bad place to own a staffing agency. Texas, Georgia and Florida, for both their economies and their laws, make up our list of the top three states for staffing company owners. 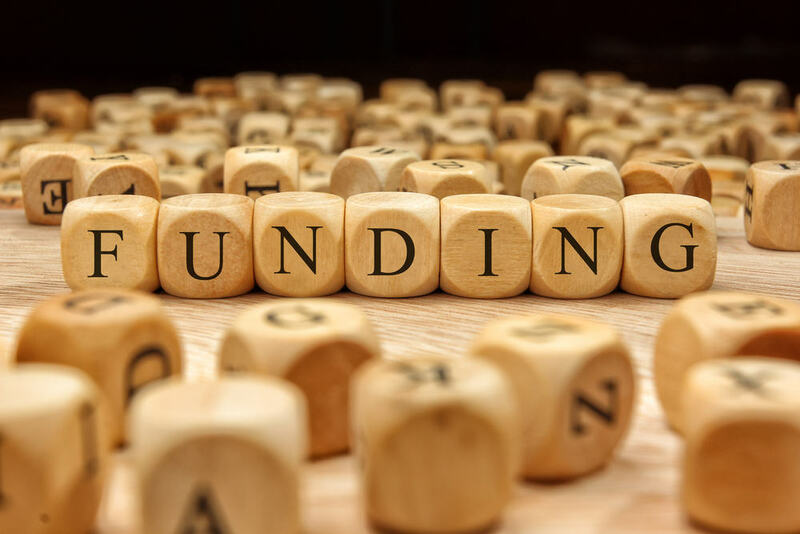 Are you looking for the top method of alternative finance in order to help your staffing company up its cash flow and expand? If so, talk to us—we serve tons of different types of staffing firms and can help your agency fix its financial situation. The holiday season has officially arrived! Now that Thanksgiving has come and gone, American consumers are ready to do their holiday shopping. Today, for example, is Cyber Monday, one of many days that see an excess of customers around the holidays. Naturally, days like today provide a huge spark for businesses of all shapes and sizes—but how does it affect the staffing industry? There is always a spike in temporary staffing when the holidays roll around—November and December always see the highest rate of annual temp hiring. Generally, the holiday season is great for staffing firms, as the statistics show. Staffing Agencies ought to have a plan to promote their temporary staffing services at this time of the year, as there is a ton of potential business to be done with stores that can’t keep up with the holiday rush. As was just covered, the holidays bring about a greatly increased rate of temporary staffing hires. But more and more, companies with a labor-shortage are learning that staffing agencies provide the most efficient solution to their problems. 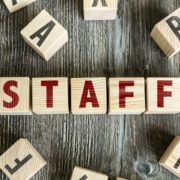 Staffing Industry Analysts reveal that of the 82% of hiring managers that are expected to pick up seasonal employees this year, 31% will be using a staffing agency. While the overall economy makes a great deal of temporary hires during the holiday season, not all industries follow this trend. For instance, wireless and electronics retailers see a relatively low seasonal change in sales, while apparel retailers see a larger segment of growth during the holiday season. Knowing how the holiday season affects your staffing company is crucial if you want to maximize on its huge potential. And just as shops and other retailers can sometimes be caught unprepared for a raise in demand during this time of year, so too can staffing agencies. Your staffing agency will need a strong, stable cash flow in order to take on the excess business endeavors in November and December. Factor Finders can help. Give us a call and learn how payroll factoring can help your staffing firm capitalize on the holiday season. For all staffing company owners that are looking to maximize the productivity of their millennial temporary workers, here is some need-to-know information from a recent TriNet study. Everybody in the world of temporary staffing knows that millennials are bringing a new culture to the workforce. And as it turns out, a side effect of that culture is a significant aversion to the traditional performance review. The study found that the traditional performance review procedure serves as a stark inhibitor of professional growth and job retention for professionals born after 1980. Of the 1,000 millennials featured in the TriNet study, 62% reported that they felt “blindsided” by a performance review, and 74% were found to feel constantly “in the dark” about how managers and coworkers felt about the quality of their performance. Moreover, following traditional performance reviews, 47% of millennials are left feeling as if they cannot do anything right at work, and a significant number of them began looking for a new job. What do these statistics show? Primarily, they prove that millennials do not do well with the traditional system of administering infrequent performance reviews. Young professionals prefer to have their work evaluated more regularly, through conversation and discourse with their manager. 85% of millennials say that they would be more confident at their job if they had frequent, face to face evaluations with their boss. Implementing a millennial-friendly evaluation system will help encourage millennial job retention and motivation for professional growth. What is more, the study proves that interpersonal, regular criticism increases trust and decreases anxiety within the workplace. It is important that staffing company owners understand this and ensure that their millennials are in an environment that is conducive to success. Looking for more ways to find success for your staffing agency? 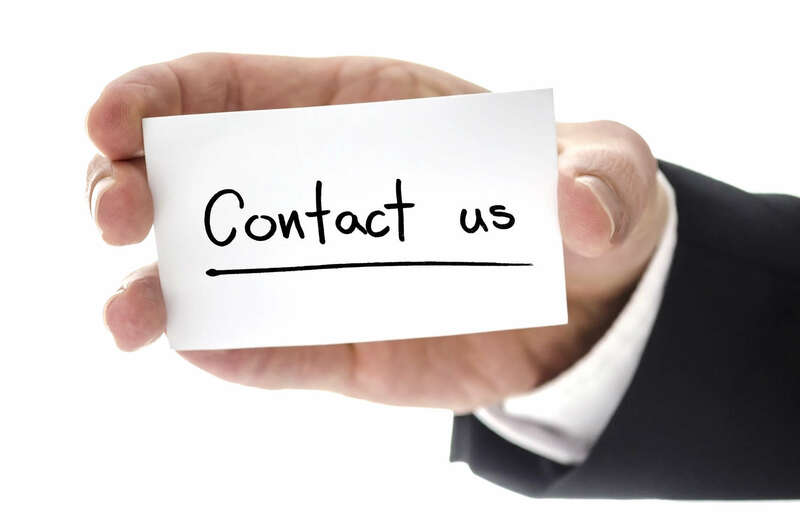 Get in touch with Factor Finders and ask about payroll funding solutions for the staffing industry. Factor Finders can help you maximize your financial efficiency and help your firm thrive. Contrary to how it was in previous eras, it turns out that the modern adult worker in the United States values quality of life and work-life balance over pay. 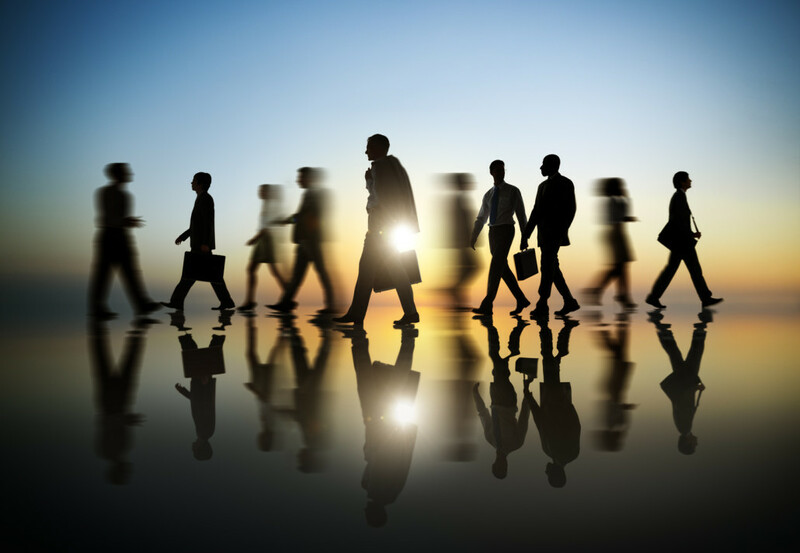 The American Staffing Association Workforce Monitor held a study that reveals that sixty percent of the adult workforce had no intention of seeking a new, better employment opportunity in 2015. And the cause, surprisingly, had nothing to do with how much they were earning. What they cared for the most about their current jobs was their relative freedom—the workforce is beginning to value a flexible job with some free-time more than a position’s pay rate. The figures were consistent when it came to the unemployed, as well. The study found that 38% of the able-bodied, adult population that do not currently have a job will not be seeking employment in the next year. All of these numbers support the overarching trend that is relatively new within the American workforce—work-life balance is becoming the most coveted aspect of a job, not wages. And for good reason, too. A separate PCMA survey shows that 38% of employees nationwide feel as if they have missed out on major life events due to a bad work-life balance. The labor force is tired of an all-work-no-play environment in the office. So what does this mean for employers, recruiters, and staffing firms alike? Overall, it means that job candidates will be the happiest in positions that allot them an appropriate amount of free-time outside of the office. Another interesting trend that the study uncovered was that significantly less workers reported that they were willing to relocate for a job. Only sizeable increases in pay would prompt them to consider. So, when pairing your job candidates with assignments, keep in mind that they will most likely thrive in a position which doesn’t hinder them from enjoying their lives away from work. The American workforce is beginning to understand the value of time, and how one shouldn’t waste it. Your staffing firm has probably made that same realization. Do you feel as if constantly waiting for your debtors to pay off their outstanding accounts receivables is hurting your agency’s potential to grow? Well if so, you are right. But there is some good news—invoice factoring companies can eliminate the problem by providing you with instant, debt-free working capital. Request a quote from Factor Finders and start seeing your staffing company realize its full potential. It is no secret that the internet and social media have had a profound impact on job recruiting/job seeking. But, the impact of “smartworking” (i.e. the way that working is done with the modern technological presence) may be more prevalent than you know. In the recent Adecco Work Trends Study, it was revealed that social media and mobile devices are playing a bigger part in the recruiting process than ever before. Here are some takeaways from the study, and some strategies that you should implement in your staffing agency’s business plan. In 2015, LinkedIn is still the most popular social media venue for professional recruiting and job seeking. 61% of recruiters and 34% of job seekers say that it is their go-to destination for filling positions. However, Facebook has made quite a leap this year in the field of personal branding, and is even more popular than LinkedIn for this purpose. Nonetheless, it still has quite a bit of catching up to do in order to rival LinkedIn for its dominance in recruiting, as only 32% of recruiters choose Facebook in order to find new employees. The study has shown that job seekers with accounts on more than one social media program are 30% more likely to find work. So, encourage your workers to up their social media game— be sure that they have attractive, professional Facebook and LinkedIn profiles. It should increase their odds at landing the position that they would like. Another big takeaway from the study is that job seekers have become surprisingly “mobile.” That is, 65% of applicants use a mobile device (a smartphone, tablet, etc.) in order to conduct online job searches. This is a particularly interesting trend, as only 41% of recruiters search for candidates using mobile devices. Nonetheless, it is logical that job seekers are making use of mobile devices, as they are becoming increasingly useful and efficient. To stay ahead of the competition, encourage your job candidates to understand how to navigate job finding tools from a mobile device. Looking for other ways to stay ahead of the game? Making sure that your job seekers are savvy on all of the recent recruiting trends is important. But, if you own a staffing company and are looking for other ways to grow and succeed, you will need more than an impressive social media presence. You need access to a steady cash flow and immediate working capital. And, there is good news—Factor Finders can help with that. Staffing factoring offers solutions for agencies of all specialties, and will help you get access to the cash that you need in order to take on new projects without ever going in debt. Don’t let opportunity pass you by. 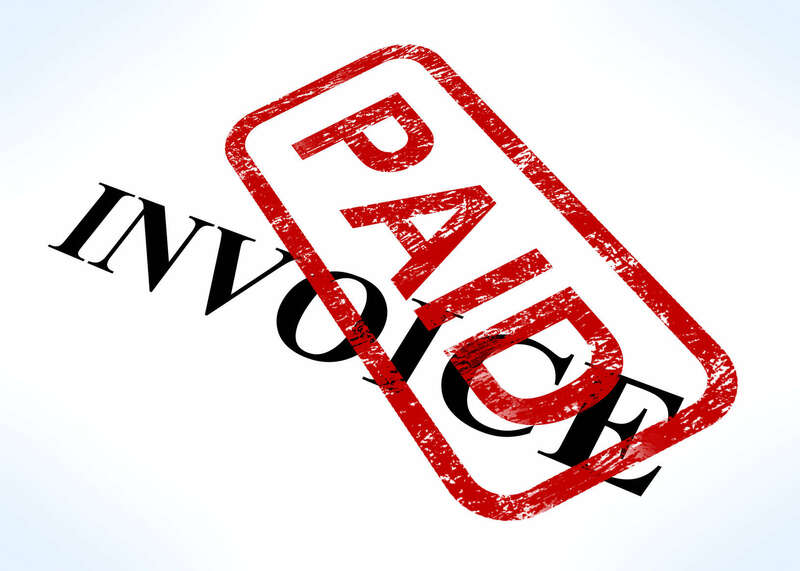 Start invoice factoring today!